The book of Hannah’s starry-eyed film. When Hannah Montana’s popularity begins to take over her life, Miley takes her father’s advice, and visits her hometown: Crowley Corners, Tennessee. Out of the spotlight, she hopes she’ll get some perspective on life and what matters most. In Tennessee, Miley rides horses and lives life the way she did before she was Hannah. Even better, she meets a heart-fluttering boy, gorgeous Travis Brody. But now that she’s left her life as a star – will she want to go back? Includes eight pages of film photos! 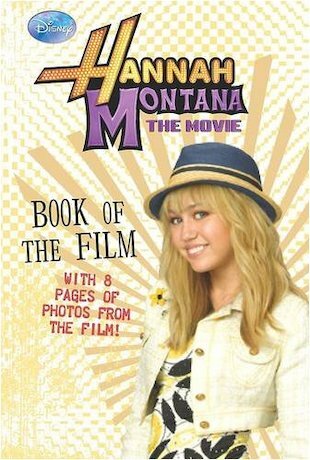 I am completly mad about this book I always wanted to watch the film but never found a shop to buy it now is my chance to get it even through it’s just a very pritty book!!!!!!!!!!!!!!!!!!!!!!!! I saw the movie and I cant wait to read the book! !